It has been ages since we've had an instagram roundup in these parts, but my instagram has been as active as ever sharing both pics you've seen over on this blog and also behind the scenes and in progress pics of other nail related projects! 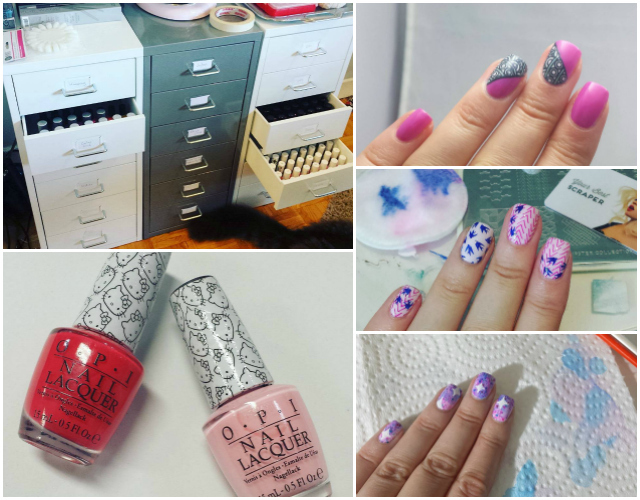 Check under the cut for a selection of my favourite #instanails posts from the past few months and then drop your instagram name in the comments so I can make sure to check you out, too! Very fun to see all these shots from the past few months from you! Love the round-up! And yay Helmers <3. This is such a cool idea for a post! I love the behind the scenes/in progress photos. I need to start doing more of those! Love the round up! Yay for that extra Helmer. I seriously need a fourth one but I have no place for it! I'm nosy. I love the behind the scenes stuff!